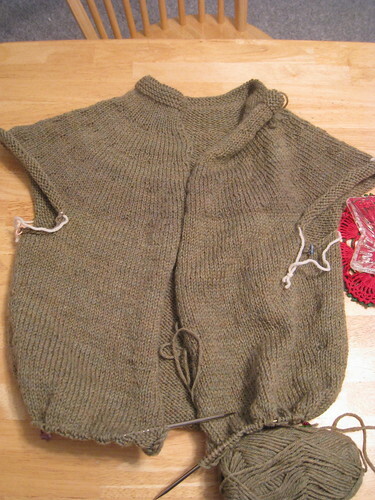 I realized suddenly, while knitting away on my cardigan [ravelry] last night, that I was actually going to finish it. Eventually. 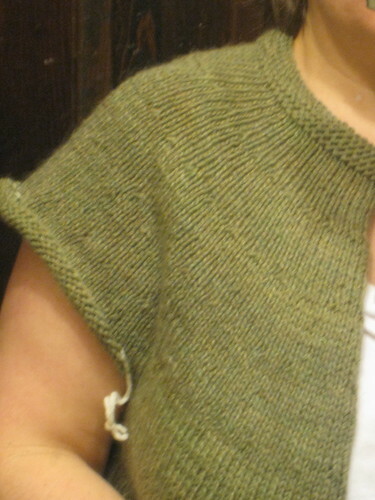 In fact, I deluded myself into believing that I could finish it if I just knitted a few more rows. Of course, this resulted in a very late night for me and a sweater that is somewhat closer to being finished than it was before, but is still not finished.